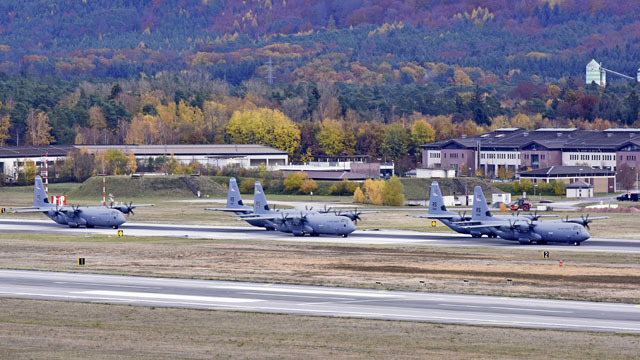 Airmen assigned to the 86th Airlift Wing successfully conducted a mass generation exercise preparing multiple C-130J Super Hercules aircraft, a multi-aircraft sortie, and an elephant walk prior to takeoff on Ramstein Air Base, Nov 8. Airmen assigned to multiple units across the base had a hand in the exercise, as it takes a team to prepare, launch, and execute the mission. 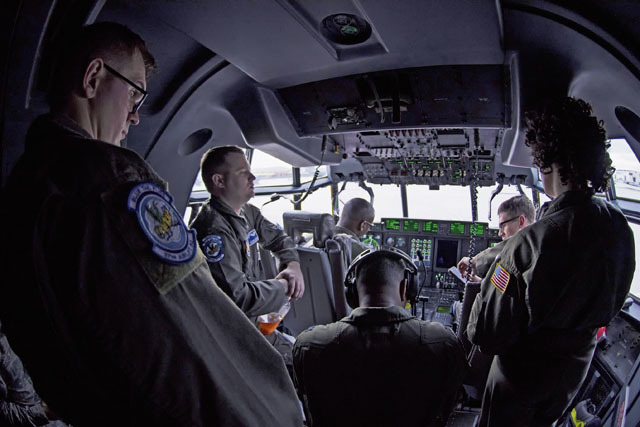 Each C-130J can carry 90 troops, or 40,000 pounds of cargo, and demonstrates why the installation is unmatched in its ability to deliver precise combat airpower. 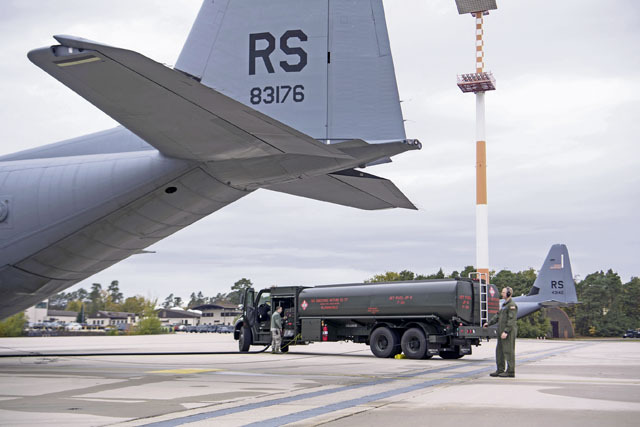 The 86th Airlift Wing is U.S. Air Forces in Europe’s only airlift, airdrop, and aeromedical evacuation operations capability and provides Professional Airlift to any country, any time, from the pavement up. U.S. Air Force Staff Sgt. 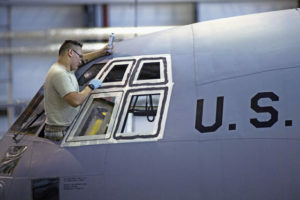 Sean Taylor, 86th Aircraft Maintenance Squadron flying crew chief, watches as a C-130J Super Hercules aircraft is refueled on Ramstein Air Base, Oct. 31. Crew chiefs ensure the aircraft is ready for aircrew to accomplish the mission. U.S. Airmen assigned to the 37th Airlift Squadron conduct a pre-flight brief on Ramstein Air Base, Nov. 8. Pilots and loadmasters work hand-in-hand to ensure flights are accomplished safely and efficiently. U.S. Air Force Staff Sgt. 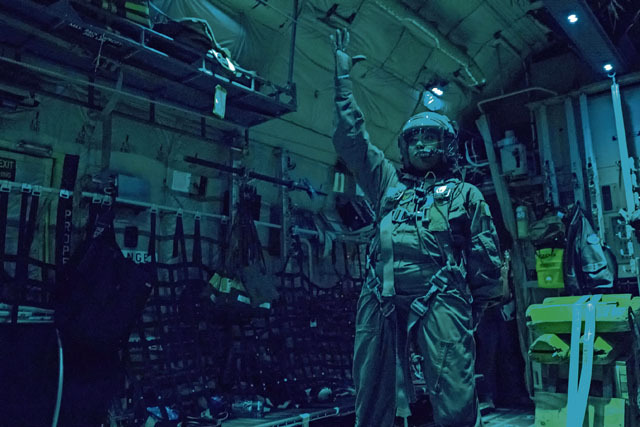 Crystal Reese, 37th Airlift Squadron C-130J Super Hercules loadmaster, stands ready to conduct a cargo delivery system equipment drop during a nighttime sortie over a drop zone in Germany, Nov. 8. Reese was responsible for verifying the cargo left the aircraft without issue and at the allotted time. 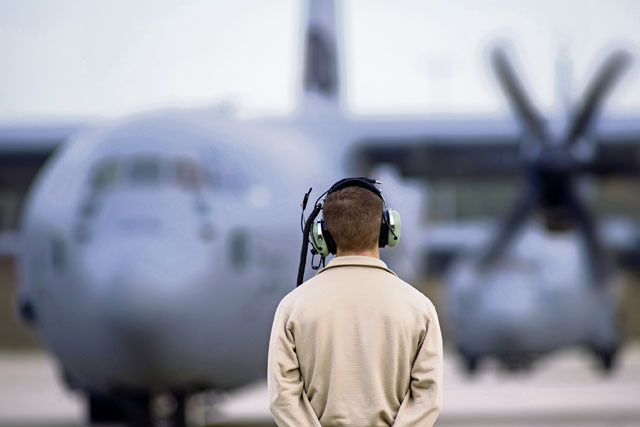 An 86th Aircraft Maintenance Squadron crew chief stands ready as a C-130J Super Hercules aircraft begins start up procedures on Ramstein Air Base, Nov. 6. Crew chiefs are responsible for the aircraft on the ground while aircrew are responsible for the aircraft during missions.